The sleek and stylish Grohtherm 3000 Cosmopolitan wall mounted trim offers excellent functional performance. With easy to use round handles for temperature and flow, the trim features a SafeStop button preventing scalding and is preset to 38oC, this can be easily adjusted to to suit your needs and preferences. To reduce water consumption the mixer is fitted with an EcoButton that reduces consumption by up to 50% without compromising on your comfort. 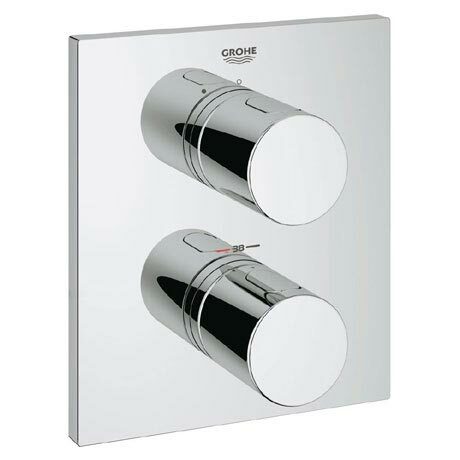 Finished in GROHE StarLight chrome which is super easy to clean and thanks to the GROHE QuickFix system you will have the fittings installed in no time.